We apologize for the inconvenience. QuickBooks must close immediately. Any unsaved data will need to be re-entered. 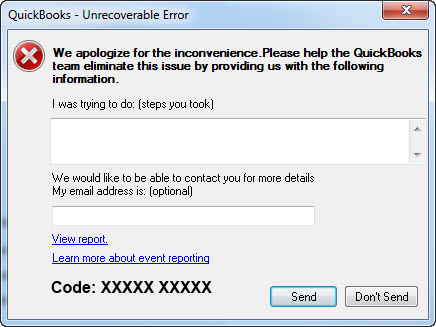 This error indicates that QuickBooks has detected data corruption and is causing QBW32.exe to crash. There are several possible causes of the error. First, you may want to try and restart your computer and your database server to see if this resolves the error. If that doesn't work, make sure QuickBooks is configured properly and the computer that hosts the data file is working properly.